Total Plastering can provide a full range of dry lining solutions to all our customers around Essex. We have completed this service for many of our satisfied customers and can happily say they were not disappointed with the results. Depending on what kind of job we are contracted to do, we will use the most suitable plasterboard for the job in hand. Dry lining is a procedure where plaster board is used to cover stud walls, brick work and metal frames, though all of these will require a different fixing method. This is something we will discuss with you in more detail before we start this job. The plaster board can then be skimmed over with plaster to give your walls that perfect finish but this is not always necessary, it depends on what you need. 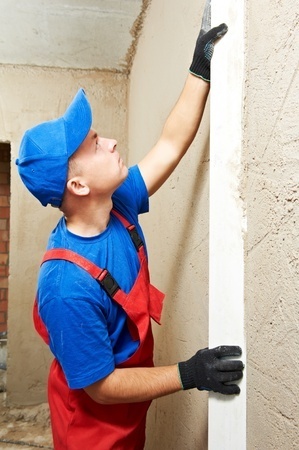 In most cases, if we find that lose plaster is coming away from a wall, we would recommend re-plastering the whole wall but this is not always an option if a wall needs to be fixed quickly. Dry lining is a very quick method and we recommend this to our customers if they need to have their walls ready really quickly. Re-plastering can be time consuming and of course messy and to most of our customers this is not a problem when they ask us to do a lot of plastering but there are some that require dry lining because it is so quick. Walls that are dry lined can then be skimmed over the following day and can be painted a couple of days after that. This is a great option to choose because of its quickness and can be more cost effective.